Many people are met up with the decision which car to buy. 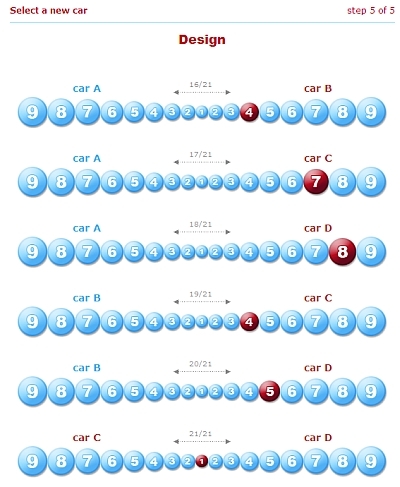 Very often prices are similar for cars which would they want to buy or they want to choose the car not only based on its price value, but based also on some other non quantitative values, but more on qualitative. There is also situation when one car has better engine, but another has much better design. 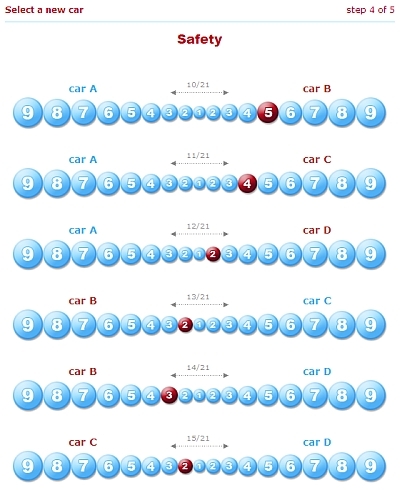 Or when car A is better then car B, car C better then car B and car C is worse then car A according to our preferences. In that case AHP method can give us optimal choice even when our preferences are not consisted. It can also be the Best Buy car according to personal preferences. 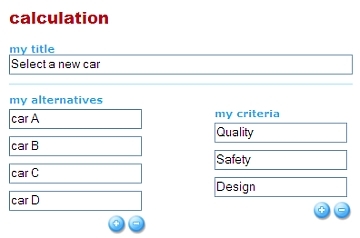 For example let us choose the best car that fits to our criteria. It is important to stress out that all decision will be made by our preferences and impression from information, experience and knowledge that we have. Although exist many criteria, let us consider few among most important to us in this example in the making a decision about the purchase of a car. 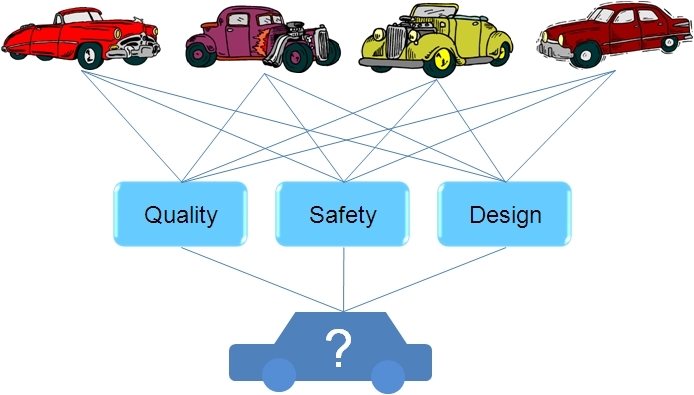 Take the example of selection the car among four cars based on that three criteria. 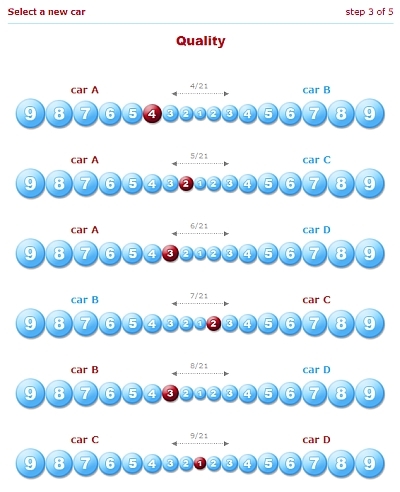 We will name our cars A, B, C and D.
We have now four cars and we will go through each criterion and compare one with another according to each criterion. Extent of our preferences we will express with intensity from the Saaty s scale. The result should give us the optimal choice according to our preferences. In AHP , to start with comparison of alternatives, we have to determine in the same principle preferences among criteria. Now we defined our problem and hierarchy. Let us start with web AHP application. In selection screen it is recommended to put the name of calculation. Specially if you are registered. For registered users there is possibility to save the calculation and review it afterwards. Under column „my alternatives“ we are putting the names of our alternatives. In our case we named our cars wit A, B, C, D. The order it is no relevant. If you wish to add more, simply click on + or if you would like to compare less alternatives just click on -. The same principle is for criteria. 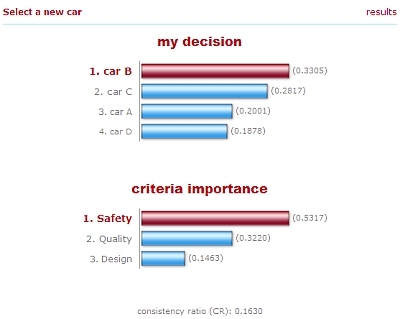 In this example we found that Safety is more important then Quality because we prefer more safety cars then quality. 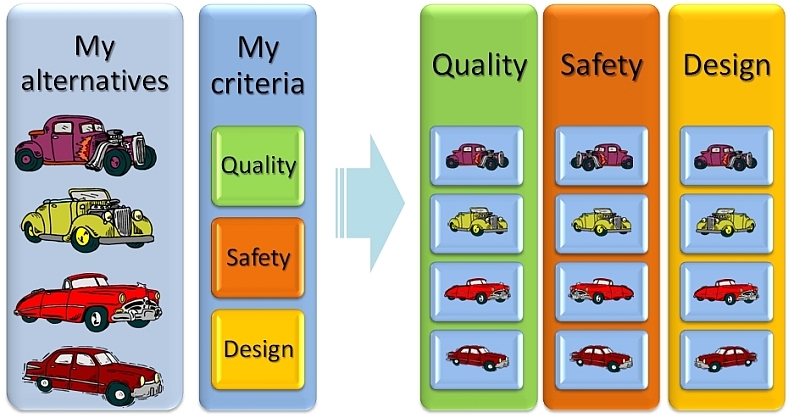 Of course, it does not mean that we do not want to have quality car, but just we give more importance to safety characteristics then quality. On the other hand , we found Quality more important then Design. In some other cases it does not have to be. 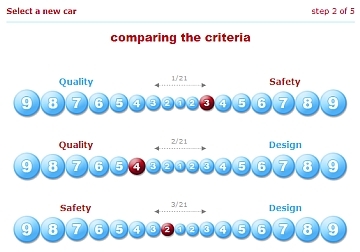 We could have put that all criteria had the same importance, but our preferences give more importances to the safety. Here you can noticed one inconsistency. We found Quality much more important then Design, while Safety is also more important then Design, but not as much as Quality. But in comparison between Quality and Safety, we found Safety more important. One of the best tool to solve such situation is AHP. Even with some inconsistency we will be able to determine ideal solution in our case based on such inputs.